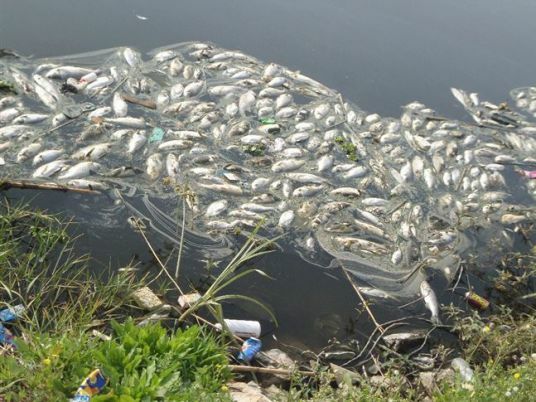 Citizens in the Nile Delta region are anxious about the large numbers of dead fish that have been found at the Nile River distributary of Rosetta, close to the cities of Motoubas, Fawa and Desouk in Kafr al-Sheikh Province. The scene and the resulting smell has spread concern among residents as water stations in the three cities are supplied by the polluted distributary. Hesham Deraz, who leads an association of fishermen in Desouk, said dead fish began floating on the Rosetta distributary near the three cities as a result of sewage discharged from Giza, revealing that the event recurs every year and warning of a “serious environmental catastrophe”. Sabri Etman, a secretary from the Arab Nasserist Party in Kafr al-Sheikh, said the crisis forced some well-off citizens to resort to using bottled water, though poorer inhabitants have no option but to cope with the polluted resources. Shawqi Karim, head of the Irrigation Ministry in Kafr al-Sheikh, said “intensified efforts” were underway to clean the waterway and remove the dead fish.